NEW DONATION: Limited Edition 12” of U2’s first single; 3. Just in time for St Patrick’s Weekend we’re adding a new donation to the Irish Rock N Roll Museum into our U2 Room. The new addition is a particularly unique copy of U2’s first single “3”. 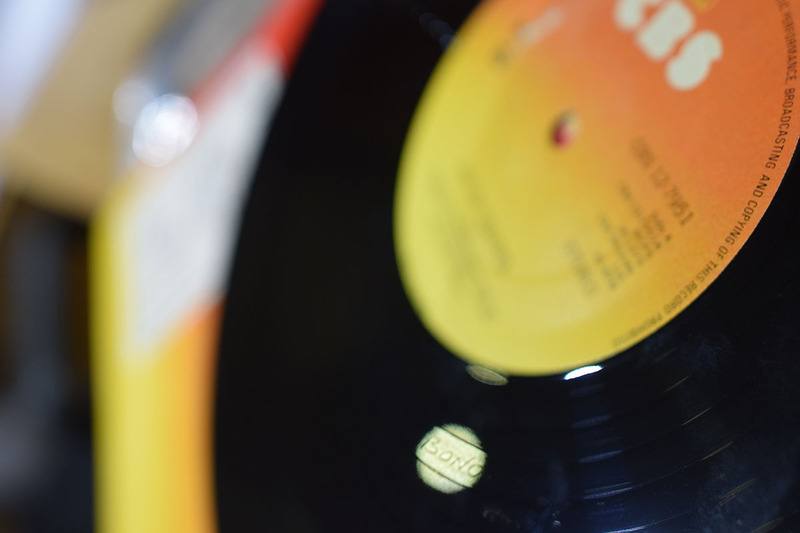 This 12 inch record which is number 519, of 1,000 records is a highly sought after collector’s item. It was only available to purchase in Ireland. 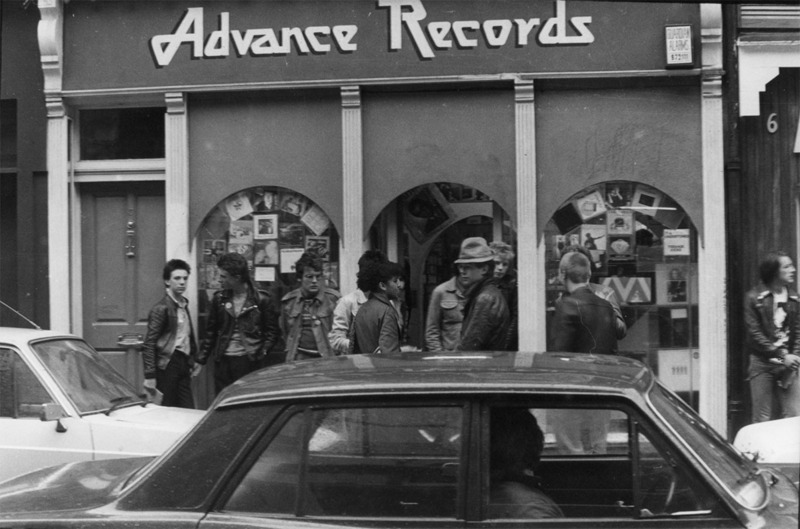 Each record was hand pressed and individually numbered by Jackie Hayden, the Marketing Manager of CBS Records in Ireland at the time. CBS Records was the former name of Sony Records Ireland and is emblazoned on the vinyl cover. Jackie Hayden, who also signed U2 to CBS records joined Hot Press Magazine in 1983 and later became their General Manager. There’s even a stick boy scratched on one side of vinyl 519. This vinyl record was the first EP U2 released as U2. The U2 3 record was released 22 September 1979. It sold out in Ireland in a day. 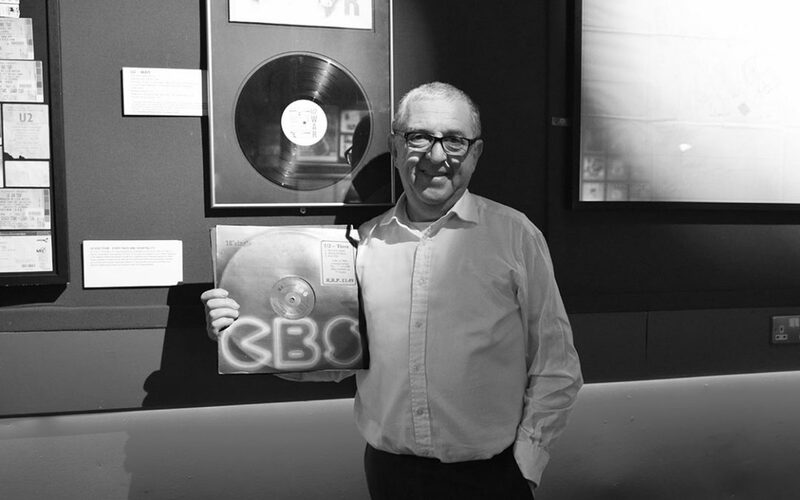 The record was produced by Chas de Whalley of CBS Records and remixed by The Boomtown Rats soundman Robbie McGrath. It was recorded in Ireland in Windmill Lane Recording Studios. Andrew Styles is a big music fan and visited the Museum with his son when U2 played Croke Park last summer. It was the first time his son had seen U2 play live and they popped into the Irish Rock ‘N’ Roll Museum during their visit home. They noticed during their visit that we didn’t have a copy of the highly sought after Vinyl record and as their copy was in a storage unit in Wales they decided to work out what was the best way to have it displayed. The Vinyl record is now hanging proudly on the wall of our U2 room and is a unique part of Irish Music History. Mr Styles is of the opinion that it’s time would be better spent on the walls of the Irish Rock Museum where fans can see it’s unique beauty rather than in a storage container in Wales. We’re of the same opinion! 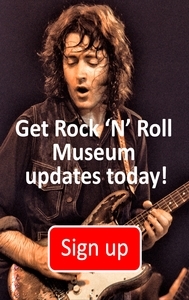 If you would like to donate to the Irish Rock N Roll Museum and tell us of your unique memorabilia we can guarantee you that we will give your prized possessions a safe place and an eager audience. We are passionate about retaining Irish Music Culture and telling the unheard stories of the Irish Music Scene. If you would like to be a part of music history and know more about the benefits of being a donator please get in touch. Celebrate your St Patrick’s Weekend in style you can book in your tour and visit the Museum. Dublin U2 Tribute band Zooropa are playing the Button Factory March 16th. If you take a tour on either March 15th or 16th you will automatically be entered into the draw for two tickets and backstage passes to rock out with the band! Still wondering what to do on Paddy’s Day? The Button Factory will be showing the Rugby on the largest Screen in Temple Bar and we’ll be running tours all day. Then in the evening Superfreak will be playing The Button Factory with a Grand Slam Funk Paddy’s Weekend.